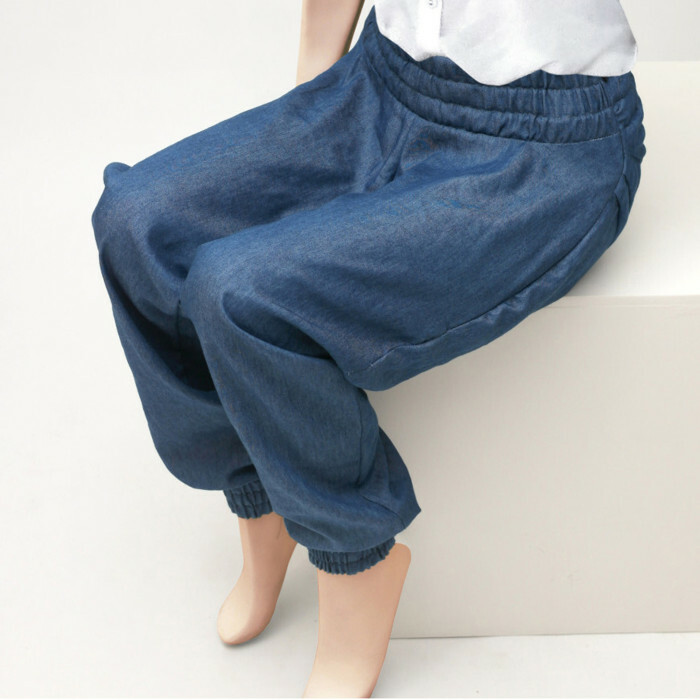 Take these culottes to top off a wardrobe of blue: The legs flare out wide to create a skirt effect. Putting them on is really easy: just place on your chair, fold open, sit down on them and zip closed. Our sizes differ from the shopsizes you're used to. [sf_button colour="lightgrey" type="sf-icon-reveal" size="standard" link="http://chairmelotte.com/size_guide_women" target="_blank" icon="fa-long-arrow-right" dropshadow="no" extraclass=""]SIZEGUIDE[/sf_button] XS-Doll wears size 36 here. Select your size below. XS-Doll wears size 40 here. Select your size below. 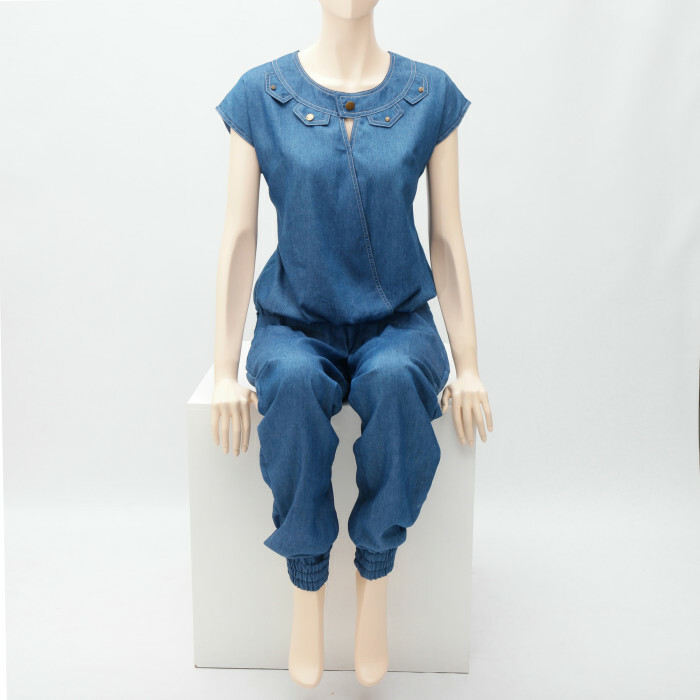 Your must-have item: this unique two-part jumpsuit. 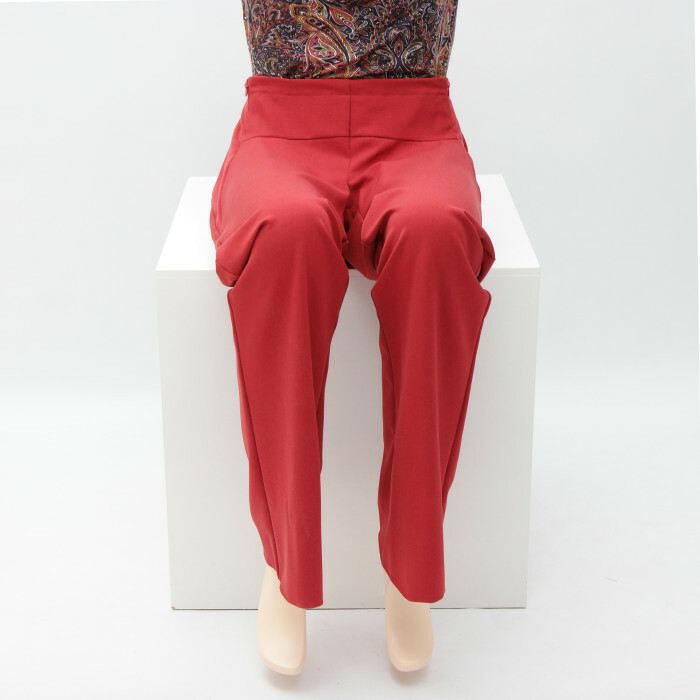 Forget about tugging and struggling, because top and trousers can be handled and worn as separates! Our sizes differ from the shopsizes you're used to. [sf_button colour="lightgrey" type="sf-icon-reveal" size="standard" link="http://chairmelotte.com/size_guide_women" target="_blank" icon="fa-long-arrow-right" dropshadow="no" extraclass=""]SIZEGUIDE[/sf_button] XS-Doll wears size 36 here. Select your size below. This nice little shirt, which is a front closer as well as a back closer, is always useful. A great basic to have in your wardrobe. Our sizes differ from the shopsizes you're used to. [sf_button colour="lightgrey" type="sf-icon-reveal" size="standard" link="http://chairmelotte.com/size_guide_women" target="_blank" icon="fa-long-arrow-right" dropshadow="no" extraclass=""]SIZEGUIDE[/sf_button] XS-Doll wears size 34 here. Select your size below. This cute version of the Dutch tulip skirt falls in small pleats from the yoke but tapers towards the knees. And of course the back is smooth. Because, well, it’s simple: no pleats there! Perfect to combine with the mini cape. Our sizes differ from the shopsizes you're used to. [sf_button colour="lightgrey" type="sf-icon-reveal" size="standard" link="http://chairmelotte.com/size_guide_women" target="_blank" icon="fa-long-arrow-right" dropshadow="no" extraclass=""]SIZEGUIDE[/sf_button] XS-Doll wears size 34 here. Select your size below. As this type of skirt is called a tulip skirt, Saskia is an example of Dutch design in more than one sense. Wider at the top and tapering towards the hemline, this versatile little skirt hides a zipper under slanted trimmings. Our sizes differ from the shopsizes you're used to. [sf_button colour="lightgrey" type="sf-icon-reveal" size="standard" link="http://chairmelotte.com/size_guide_women" target="_blank" icon="fa-long-arrow-right" dropshadow="no" extraclass=""]SIZEGUIDE[/sf_button] XS-Doll wears size 34 here. Select your size below. XS-Doll wears size 36 here. Select your size below. 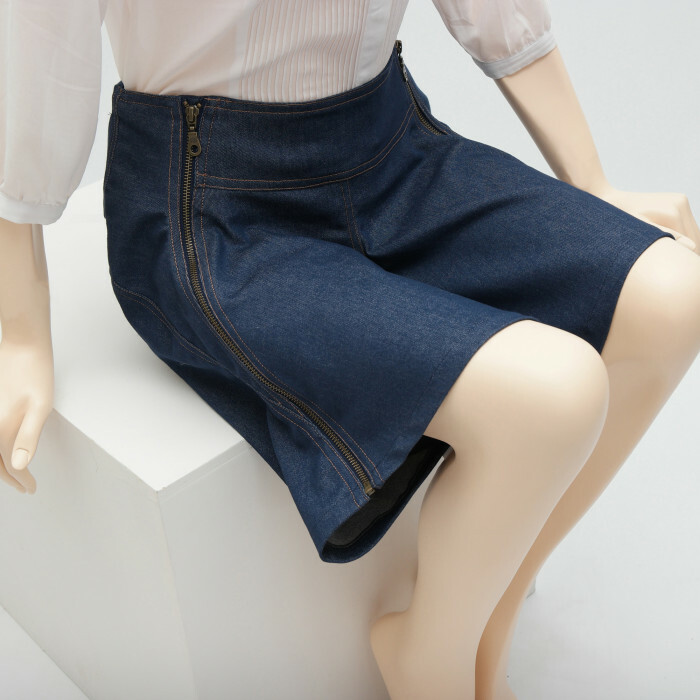 The short tulip skirt in denim is perfectly suited every moment and every mood. Our sizes differ from the shopsizes you're used to. [sf_button colour="lightgrey" type="sf-icon-reveal" size="standard" link="http://chairmelotte.com/size_guide_women" target="_blank" icon="fa-long-arrow-right" dropshadow="no" extraclass=""]SIZEGUIDE[/sf_button] XS-Doll wears size 34 here. Select your size below.